Even though many bridal magazines show the standard looks most brides choose, don’t be afraid to push the envelope. On a day as personal and special as your wedding day, it’s important to make sure the details reflect your personal taste. A woman’s wedding day is undoubtedly one of the best days of her life. If you’re a bride-to-be, you’ve probably been in the decision-making role for items such as your dress, the venue and your guest list. Another point to consider is your wedding look. There are a few ways to make sure your wedding look is unique and special to you. 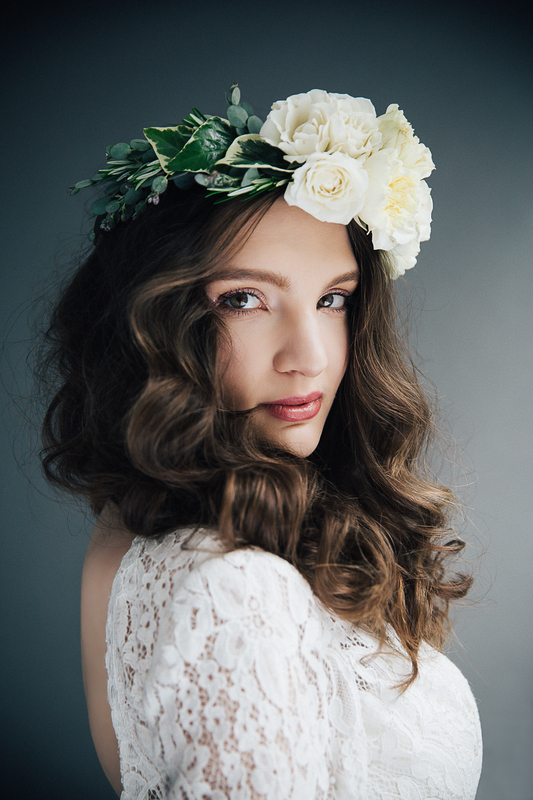 Instead of the classic veil, an increasingly popular option is a flower crown. Many women are donning this flower-filled headpiece using the same flowers from their wedding theme. Others are creating flower crowns filled with eucalyptus leaves and other greenery. If you’d prefer a different vibe, a jeweled headpiece adorned with rhinestones is a gorgeous option. Wrap the jeweled headpiece around the front of the forehead and make sure it’s not too tight. This regal alternative to the standard veil will definitely turn heads. Many brides feel like they have to wear gorgeous high heels on their big day. While there’s nothing wrong with an amazing pair of pumps, many brides would prefer to be comfortable and forgo limping on the dance floor at the reception. If you’d like to enjoy the day feeling light on your feet, opt for flats. Many of the wedding dresses in bridal stores in Columbus are floor-length. No one will really see what your shoe actually looks like. You can opt for a lacy ballet slipper, a fun pair of sandals or even your favorite funky tennis shoe. Go with a choice that complements your own personal style. When it comes to your wedding, remember that you call the shots. You want to be able to look back at your wedding pictures and be proud of how much your details reflect you and your personal style.